Members of the public invited to the royal wedding of Meghan Markle and Prince Harry have reacted with fury after claiming they were told to bring their own food to the event. If you are one of the lucky few with a ticket to Windsor Castle for Britain's royal wedding on 19 May you might expect a feast fit for a king. But guests set to descend on the grounds of Windsor Castle for the marriage of Prince Harry and Meghan Markle have been warned to expect no such thing. Kensington Palace - the official residence of Prince Harry -- told AFP Thursday that guests have been advised to bring their own picnics as only light refreshments and snacks will be served. Relaxing in the sun -- if it deigns to appear -- and enjoying drinks and a meal of your own making is intended to give the royal occasion a family feel, according to the same source. 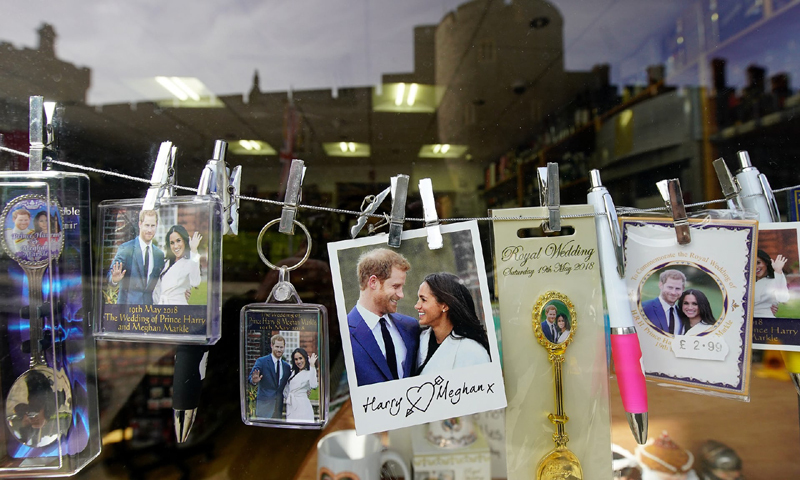 Among the 2,640-strong guest list for the wedding party in West London are 1,200 "members of the public" from all walks of life, drawn from the four corners of the United Kingdom. One of those set to witness the arrival of the wedding party and the post-ceremony procession is Amelia Thompson, 12, a surviver of the Manchester Arena suicide bombing -- which claimed the lives of 22 concert-goers last May. Another guest on the list is Philip Gillespie, a 30-year-old veteran of the Armed Forces who lost his right leg in an explosion in Afghanistan. Saeed Atcha, 21, founder of a youth charity, told daily paper The Guardian that some disadvantaged people his organisation aids were bemused by the decision. "They were saying how come they (the royal family) have this money and you have to bring a picnic," he said. "I am of the same opinion. It's unfathomable." Besides the public, 200 members of charitable groups close to Prince Harry and Markle's hearts will be present. Some 610 members of the Windsor community, 530 employees of the royal household and pupils from nearby schools are also invited to join the celebrations in the castle park. The royal palace has announced that 600 guests are invited to attend the marriage ceremony itself in St George's Chapel, as well as the reception luncheon given by Queen Elizabeth II in Windsor Castle. A reception will also be given later to 200 guests in the evening by Prince Charles. It will take place at Frogmore House, about a kilometre from the wedding site.